If you would like to practice different languages of the world with South American people, Chat Terra Idiomas will be a useful chat site for you. While you are making new friends in chatting, you will also improve your language. You will able to find channels for practicing a few languages on the website. One of these languages is English. If you think that you need to practice English in writing, you can enter the channel. The site has no video chat and it means that you can’t practice speaking. If you would like to practice your speaking you can always try Omegle and alternative chat sites. Edit (16.09.2018): Unfortunately Chat Terra Idiomas has been closed by the site management. 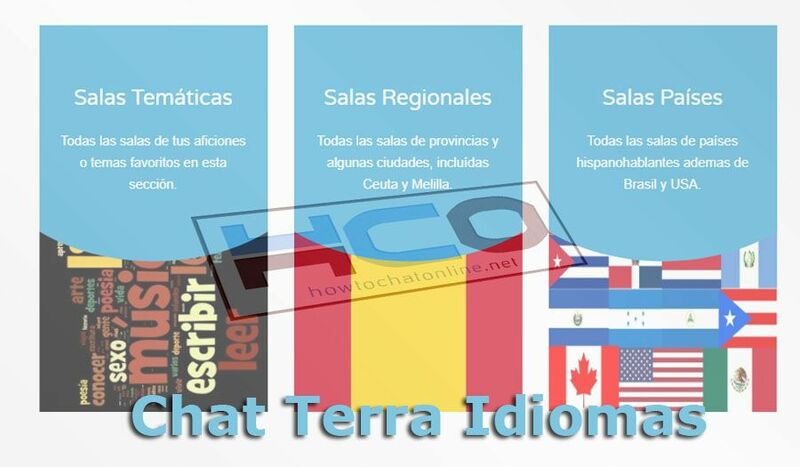 Unfortunately this service has been removed from the website, so you cannot use Chat Terra Idiomas at the moment. You can also look at some alternative ones. These options above are the most useful ones for you. We are going to mention about more of those chat rooms for you in the future. You can also find many good alternative chat rooms at Chat Terra. You can also find some old information below about the chat room. If you have any questions regarding Chat Terra Idiomas, please feel free to ask us. The other language that you can practice is Spanish. Spanish language is mother language of most of South American people. So it will be a good chance for you to practice a language with such people. You can also add your partners to skype and improve your language. You can also improve your French language on the site. If you want to learn more about these languages, you can chat with South American people who know French language. It’s a free chat room and you don’t need an account to enter there.